Most project managers are familiar with Gantt charts, but most do not know much about the man who originally created them. Henry L. Gantt, A.B., M.E. (1861 – 23 November 1919) was a mechanical engineer and management consultant at the turn of the century. He developed the Gantt chart during the first decade of the 1900’s. Interestingly enough, he was born and raised in Maryland, ultimately attending Johns Hopkins University. He and Frederick W. Taylor worked for Midvale Steel and Bethlehem Steel, using scientific management principles to increase productivity. The Gantt chart was based on Gantt’s work in the shipbuilding industry during WWI. It changed the way work was managed. The Gantt chart was used to schedule and monitor large construction projects like the Hoover Dam started in 1931 and the Eisenhower highway network launched in 1956. It has been refined and used ever since and is a powerful graphic tool to illustrate project schedule and progress. 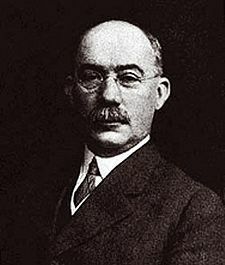 Henry L. Gantt also contributed to the concept of Industrial Efficiency, by applying scientific analysis to all aspects of the work in progress. The industrial management role is to improve the system by eliminating chance and accidents. His concept of the Task and Bonus System linked the bonus paid to managers and employees to how well they improve performance. Henry L. Gantt also believed that businesses have a social responsibility to promote the welfare of the society in which they operate. http://www.ganttchart.com/OrganizingforWork.pdf Book written by Henry L. Gantt. Now in the public domain. http://synfluent.wordpress.com/2010/03/07/midvale-steel-early-silicon-valley/#comment-10 mention of this post in another blog. Great to have one of the many alumni of Midvale Steel in Philadelphia remembered and given due credit. what about Karol Adamiecki’s harmonogram and harmonograf?